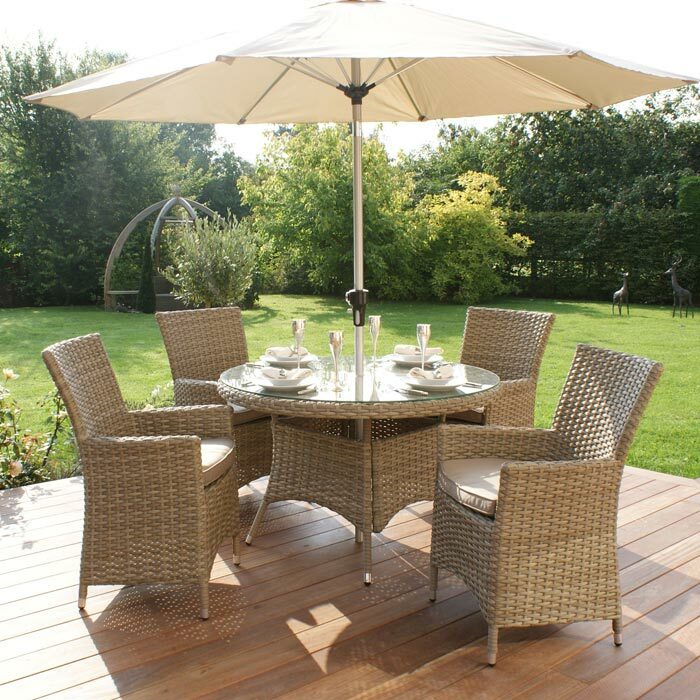 Incredibly popular resin weave garden furniture is what you need to turn your simple garden or backyard into a fantastic space to enjoy every minute of your outdoor rest. 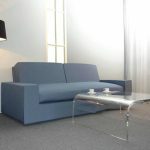 This type of furniture features a series of advantages. It is lightweight and at the same time greatly durable, easy maintainable and promises to endure any weather conditions. 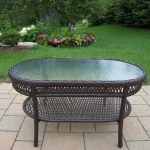 Over all this, resin garden furniture is offered at quite affordable costs today. Even if you have a limited budget, you are sure to find a wonderful set to beautify your outdoor environment. 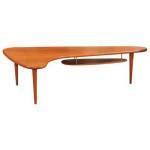 Each of these companies is distinguished as high quality furniture producer. 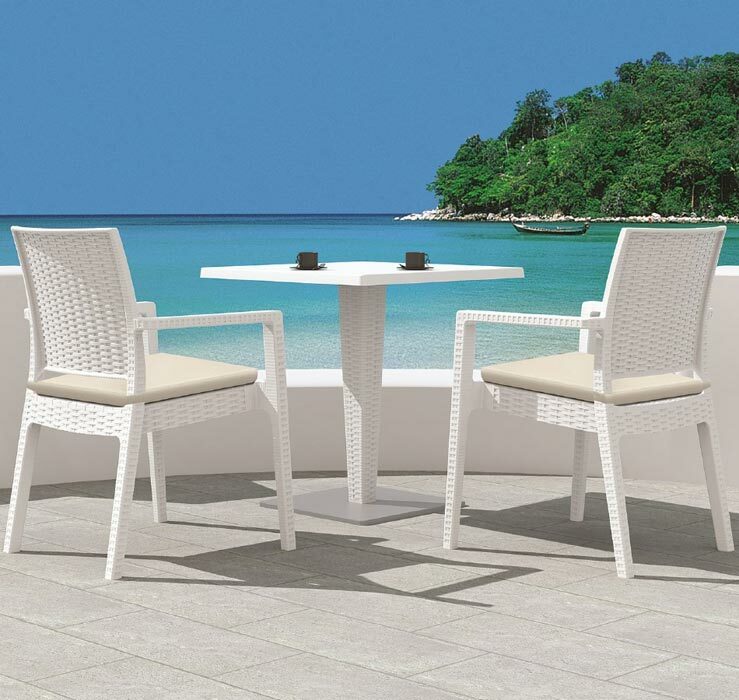 Look withing the impressive array of models offered to bring the comfortable seating, dining and resting amenities to your outdoor space. 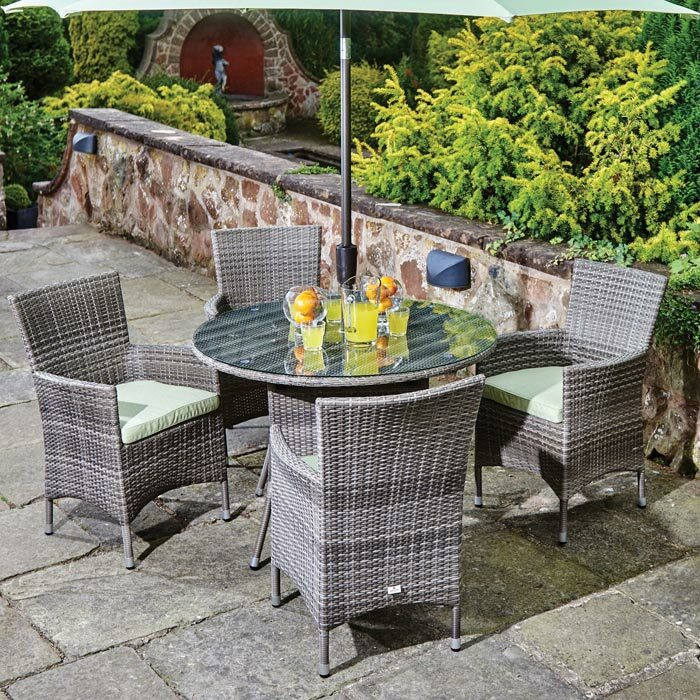 The 4 Seasons Outdoor Sussex Living Woven Garden Furniture Set is one of the bestselling resin weave garden furniture models presented at the Hayes Garden World. 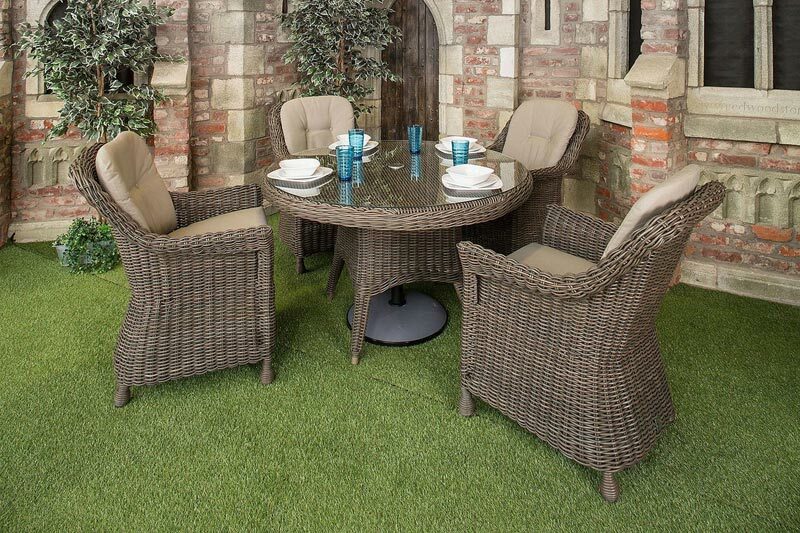 Priced about £1,500, this elegant set offers a realistic weave appeal while providing all the advantages only resin weave can offer. 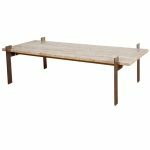 The set is composed of a Sussex Living bench with cushions, two Sussex Living armchairs and a rectangle Sussex coffee table. 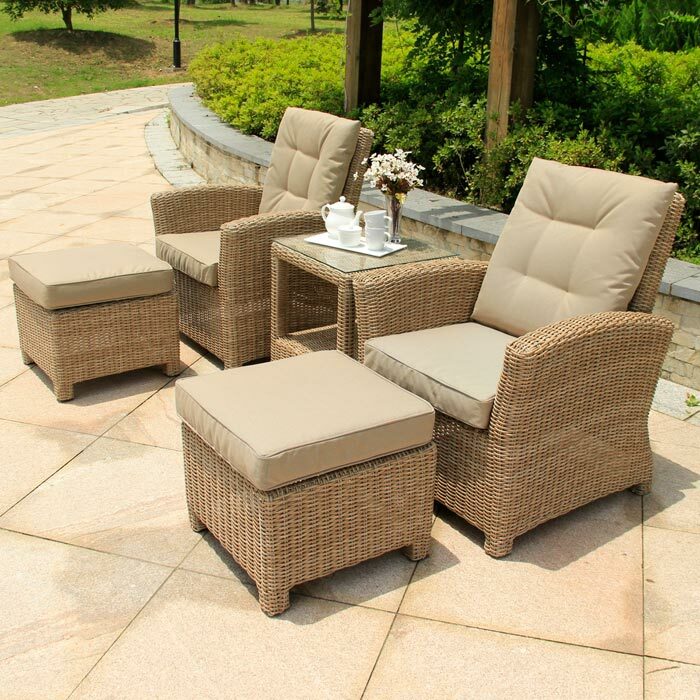 Placing the set outdoors, you won’t have to worry it may be damaged because of heavy rains or snow. 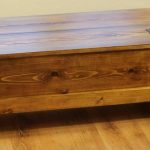 This furniture set is thoroughly water and UV resistant.